Leos are passionate and loyal. They are very self aware and like to stand out and lead. If you are proposing to a Leo, you need to find an engagement ring that will be as unique and strong as your partner is. You should favor Platinum, the strongest metal when picking the metal for the setting. 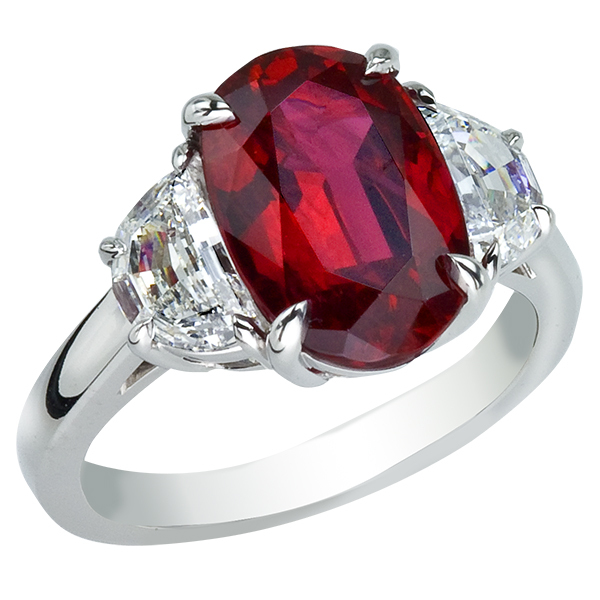 You should also consider rubies, July gemstones, for the center stone or as accents. It’s a high energy stone and red is the color of bravery, honesty and passion. Such a perfect fit for any Leo, born in July or August. However keep in mind that any of these rings can be made in all white diamonds or the gemstone of your choosing. There are two different kind of rubies on this stunner by Parade Designs, crimson red and magenta. Then let’s talk about the gorgeous mix of rose gold and oxidized gold. How beautiful is this combination? Wait, there’s more! 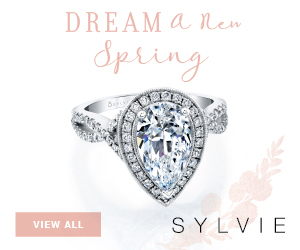 A trillion halo of white diamonds placed to enhance the uniqueness of the trillion-cut center stone. Last, but not the least, you can change the stone combination, the metals and the shape of the center stone to create your own customized engagement ring. 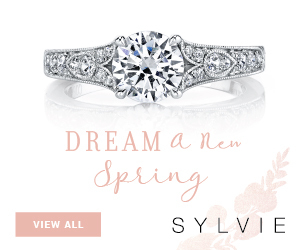 Here we have a bold vintage inspired style from The Sylvie Collection. Two emerald cut diamonds and a halo of smaller white diamonds make the ruby center pop. The band is wide with two rows of diamonds and milgrain details. It’s a strong look for a strong sign. 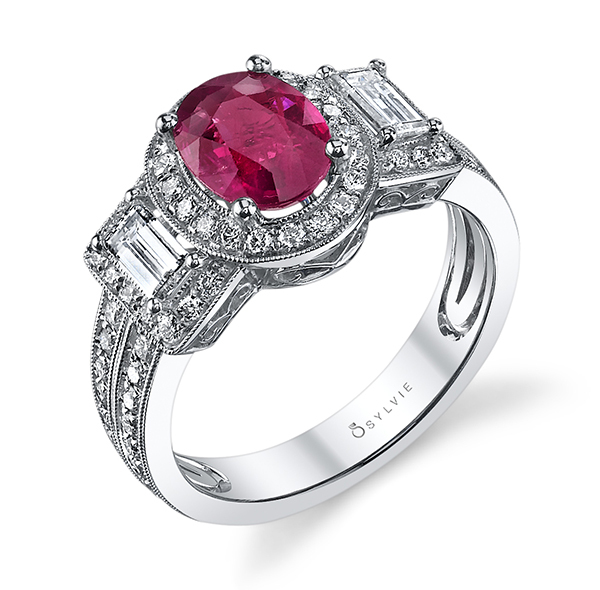 Omi Prive is a designer brand that uses the most amazing and rare color gemstones. 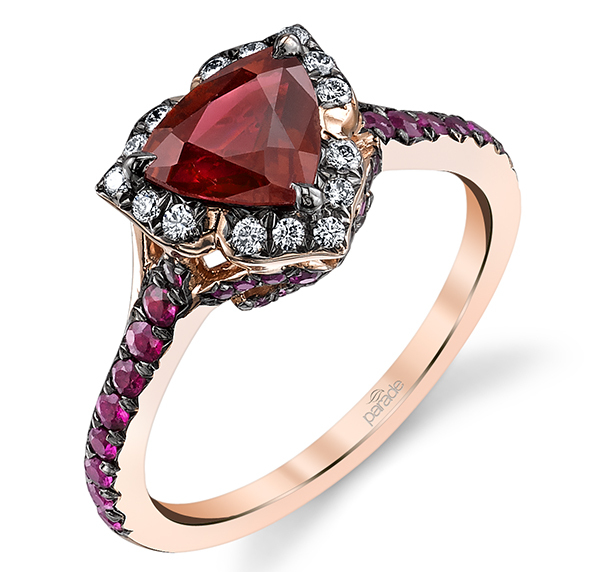 As I am typing this article, I just can’t stop staring at these 3 rubies. This 3-stone engagement ring is simply mesmerizing. It’s in platinum, the strongest metal for engagement rings. Jack Kelege and his team sometimes spend months making sure a ring is perfect. That’s why I picked a side shot for this engagement ring so you can see the work and all the details. This platinum ring is sure to be a conversation starter and is a great fit for a Leo. 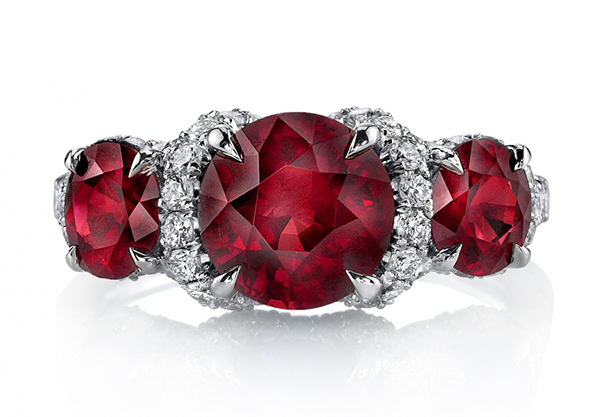 Rubies come in many shades. I like the hint of pink in this floral halo designed by Davani. 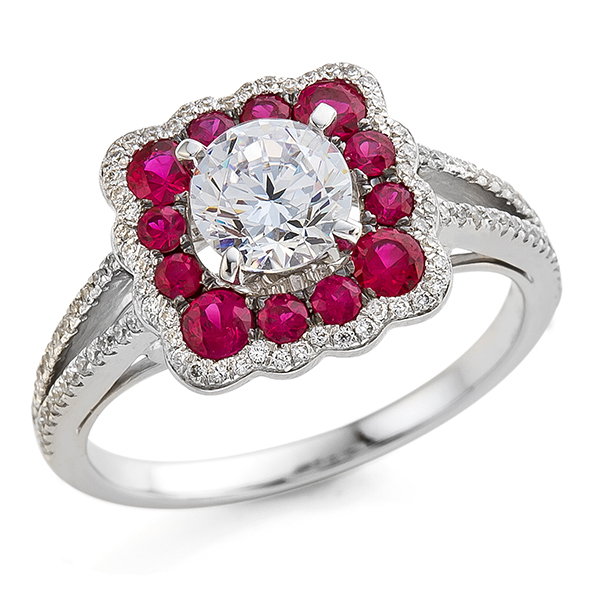 This engagement ring setting is a great way to include rubies and still get a diamond center stone. I have seen it with sapphires and Paraiba tourmalines instead of rubies, it is also very pretty. This platinum engagement ring is classic and classy. 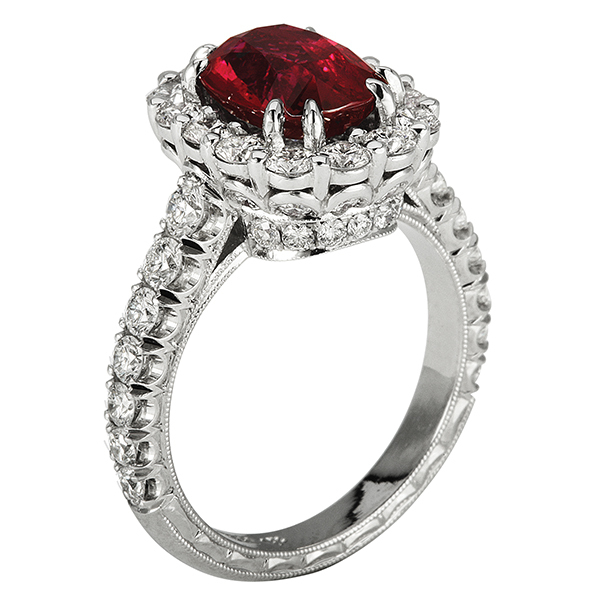 It is designed by Fusaro with an oval ruby center and two flawless half moon diamonds. 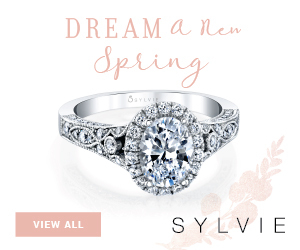 As with all the other rings featured in this post, you can customize this ring with a different center stone. Beautiful ring …my sign is LEO I love the first one how much for it…. 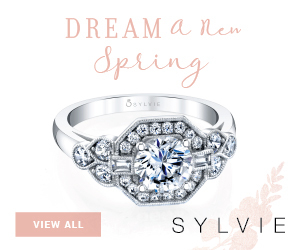 Love the 2nd one the Sylvie collection engagement ring how much does it cost? 2 and 6!!! They are gorgeous! Great choice. Feel free to contact them for more info. What is the price for the Leo Omi Prive? How does one get pricing for your products.